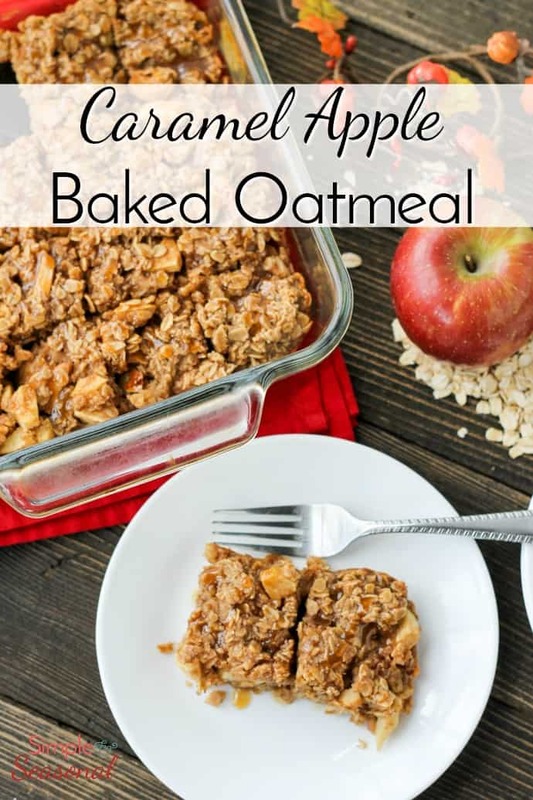 Start your morning off right with this hearty and delicious Caramel Apple Baked Oatmeal recipe. 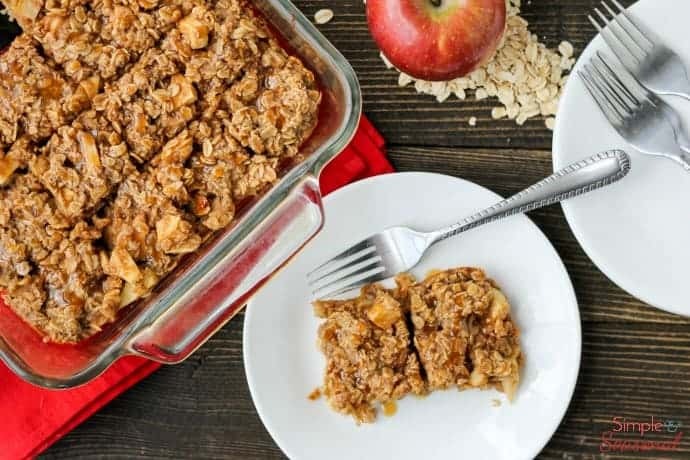 It’s filled with apple chunks and caramel-the perfect fall breakfast! Is there a better season for food than fall? After all the summer salads and frozen desserts, I’m ready for the warm flavors of autumn. Bring on the cinnamon, caramel, apple, pumpkin and ginger! 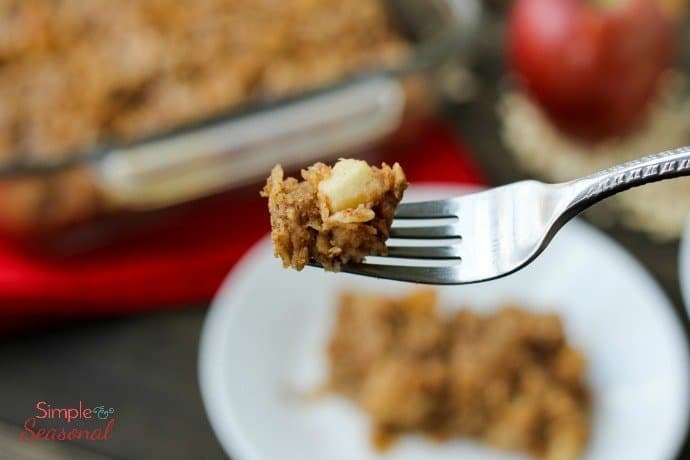 This Caramel Apple Baked Oatmeal is a perfect fall breakfast. This post was sponsored by Crisco® Coconut Oil as part of an Influencer Activation for Influence Central and all opinions expressed in my post are my own. Last week, I made Microwave Caramel Apple Oatmeal, and it’s perfect for just one. 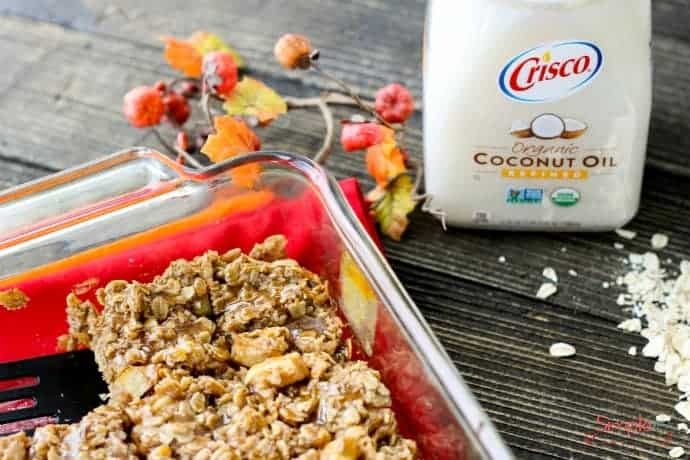 But this baked oatmeal is the way to go if you’re feeding a crowd or just want to have it for breakfast for a few days. 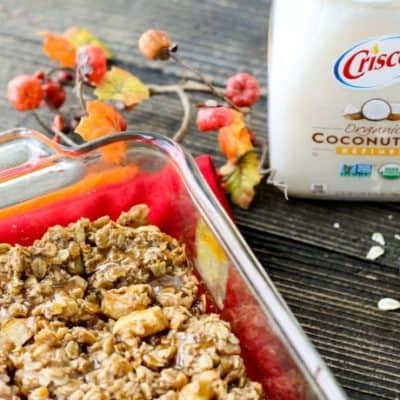 One of the key ingredients for baked oatmeal is Crisco® Refined Organic Coconut Oil. It’s a great organic substitute for butter, margarine, or other oils and because it’s solid at room temperature, it helps the oatmeal to hold it’s shape instead of turning into a pan of mush. 🙂 Don’t worry-it doesn’t taste like coconut. You can get that nutty flavor if you’d like-just purchase unrefined coconut oil instead. But I wouldn’t suggest it for this recipe. You can get both kinds of Crisco Coconut Oil at Target in the baking supplies aisle. Grab this Cartwheel coupon for 25% off until October 7th! 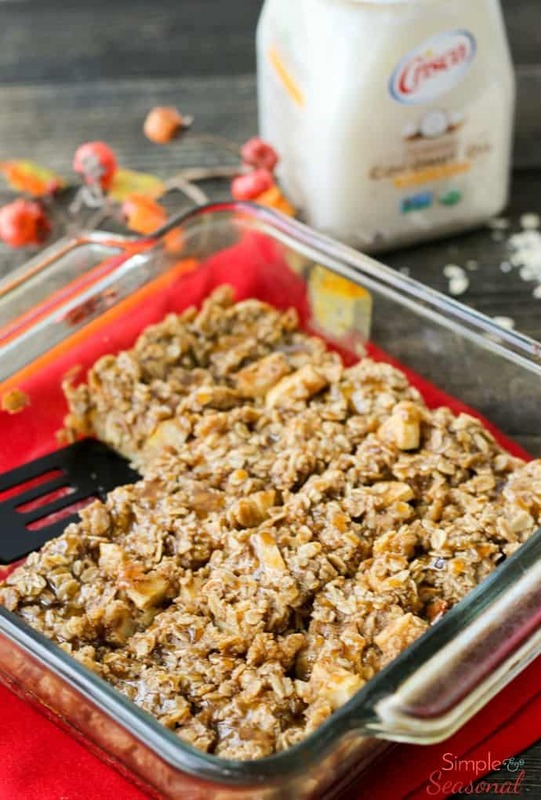 Start your morning off right with this hearty and delicious baked oatmeal recipe! It's filled with apple chunks and caramel-the perfect fall breakfast. Preheat oven to 350 degrees and grease an 8x8 baking pan. In a large bowl, combine oats, cinnamon, ground ginger, and salt. Mix in diced apples, applesauce, half and half, eggs, sugar and vanilla. Stir in coconut oil until all ingredients are well combined. Spread half of the mixture in the bottom of the pan and pour caramel sauce over it. Cover with the remaining half of the mixture. Bake for 30 minutes, or until golden brown on top. Allow to cool for 5 minutes in the pan and then drizzle with caramel sauce. Cut and serve. To make this recipe clean (refined sugar free) switch out the brown sugar for maple syrup or palm sugar. Reheat leftovers in the microwave for about 30 seconds. Add milk if it needs more moisture. 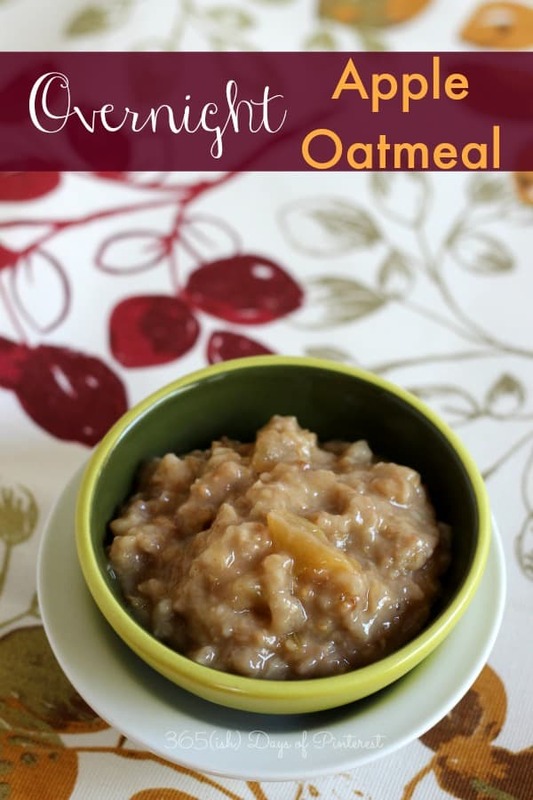 If you have to cook for an even larger crowd or prefer more traditional oatmeal, try this Overnight Apple Oatmeal that you make in the crock pot! Your house will smell amazing when you wake up in the morning.